Indian Premier League 2019 (IPL 2019) is all set to begin today, March 23. This is the 12th edition of the most followed T20 cricket league in the world. The IPL 2019 features 60 matches and will be played across eight cities. The IPL 2019 will end on May 12, two weeks before the ICC Cricket World Cup 2019 begins. 2019 IPL is set to be followed by millions of fans on TV and online. To ease out the process of finding IPL 2019 live streaming online and live telecast we have provided the detailed guide below. 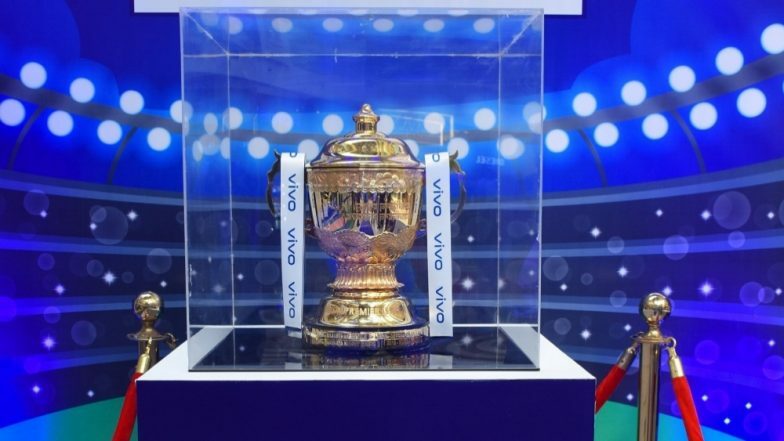 IPL 2019 Schedule in PDF: Download VIVO Indian Premier League 12 Full Timetable With Fixtures, Matches, Team and Venue Details. The IPL 2019 will coincide with the Lok Sabha elections and thus the Board of Control for Cricket in India (BCCI) had to make sure that there is no match in the city going to polls. Meanwhile, Chennai Super Kings (CSK) are the defining champions and will feature in the opening match against Royal Challengers Bangalore (RCB). IPL continues to be an eight-team affair. Chennai Super Kings and Mumbai Indians (MI) have each won IPL three times. Kolkata Knight Riders (KKR) have won IPL twice. Rajasthan Royals (RR) and Sunrisers Hyderabad (SRH) have both won the tournament once. Now discard Deccan Chargers also clinched one IPL title. IPL 2019: Here’s a Look at Some Records and Stats Ahead of Indian Premier League Season 12. IPL 2019 Schedule: When is Indian Premier League T20 2019 starting? The IPL 2019 T20 is all set to begin on March 23 at the M. A. Chidambaram Stadium in Chennai. The league stage of IPL 2019 will end on May 05. The playoffs are expected to be held between May 07 to May 10. Final of IPL 2019 will take place on May 12. The live score updates of IPL 2019 with ball-by-ball commentary will be available on LatestLY here. Apart from live score of all IPL 2019 matches, our dedicated T20 league page will have updated points table, Orange and Purple Cap holders lists as well. Star Sports Network holds the official broadcast rights of IPL 2019. In fact, the company has the telecast rights of the league till 2023. Live telecast of IPL 2019 on TV will be provided on Star Sports 1 and Star Sports 1 HD with English commentary. Hindi commentary of IPL 2019 will be apparently available on Start Sports 1 Hindi and its HD channel. Star Sports Select 1/HD will also provide live telecast of IPL 2019 matches. IPL 2018 Winner: Here’s a Quick Look Back How CSK Won Last Year’s Indian Premier League. With Star Sports Network holding the broadcast rights, its over the top platform Hotstar will provide the live streaming online of IPL 2019. The IPL 2019 live streaming online will be available online on Hotstar’s mobile app and official website. While Hotstar is free for JIO users, non-JIO users will have to pay the nominal fees to access live streaming of IPL 2019.